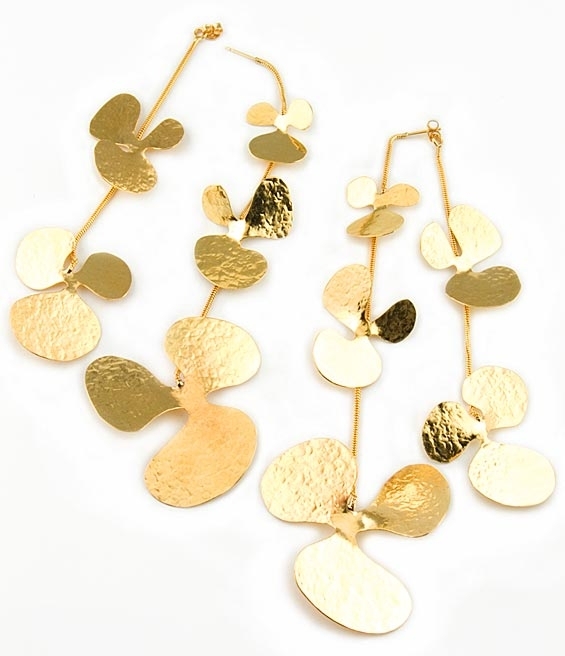 24 karat gold vermeil extra long earrings by Herve Van Der Straeten. This stunning pair of earrings features two snake chains adorned with different size abstract flower shapes. Earrings measure 13.5cm (5.4"). in total length for the front chain and 11.3cm (4.5") for the back chain. Length: 13.5cm / 5.4" & 11.3cm / 4.5"